If you had told me ten years ago that in 2015, new releases by the world’s biggest artists would be issued on vinyl, and that chain stores—and not just boutique record shops—would stock them, I would’ve called you crazy. While digital still reigns supreme as the music media of choice, interest in vinyl is great enough that more turntable manufacturers are getting into the game and new pressing plants are firing up to meet demand. Amazing, considering that just half a decade ago the best option for vinyl heads was to scour thrift shops (which is still damn fun). Indie artists were quick to adapt to the paradigm shift. There are still questions about the value of recorded music and how to monetize it, but vinyl has been a bright spot for many independent artists and labels. LPs, often limited or issued as special editions, are catnip to super fans—aka, the folks you want to keep engaged. The vinyl consumer base comprises audiophiles, dedicated followers, collectible enthusiasts, the nostalgic/romantic and everything in between. Many acts insist on high quality 160 to 180 gram pressings, which adds value to the price tag. Even better, fans have come to enjoy a golden ticket tucked in the sleeve: the download code card. These typically include a choice of MP3, WAV, or FLAC files that can be played on a computer, laptop or mobile device, or synced to the cloud via scan-and-match technology that has become common to on-demand streaming platforms. It’s likely that the mighty Merge Records got there first. In 2005, the proudly independent label issued The Clientele’s Strange Geometry in such a fashion, referring to it as an “LP3.” Others immediately followed suit. Fans had already become reacclimated to full-size artwork, classic audio quality and the ritual of dropping needle to wax. However, for many music, the ability to have our music with us on the go is one of the biggest benefits of the digital age. With CD sales declining, the one-two punch of vinyl plus download code satisfied fan expectations in one handsome package. Innovations like this often trickle up, so eventually bigger artists and labels followed suit. Some of the hottest names in music began releasing records—as in, actual 33 1/3 RPM records. Adele is among them. Molly is a huge supporter of music. She’s always at the shows, she buys the merch, she buys bands drinks. She has embraced streaming, and thinks it’s important to be a paid subscriber to Spotify, but she also uses it to discover music that she may also purchase. Put simply, she is a true fan. They do exist. Molly ordered Adele’s 25 on vinyl. Because of the windowing decision, She had to wait a few days to hear it, because she didn’t opt for the CD. It eventually arrived, but there was no download code included. Interestingly, had she decided to buy it from Amazon, they would have provided her with a download immediately while she waited for her LP to arrive. I’ll go on record as saying I think this is a pretty cool feature. Still, Molly chose to support her local record store, which is also great. 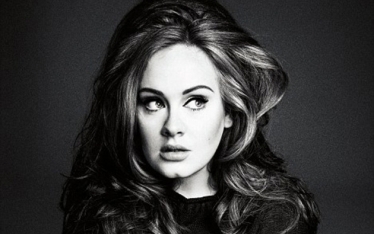 Adele’s label, XL (part of the Beggars Group and distributed stateside by Sony) gave a huge advantage to one of the biggest online retailers of music—whether they intended to or not. By choosing to shop locally, this fan was forced to re-purchase the record as a digital copy in order to listen on-the-go. Indie artists and small record shops deserve most of the credit for the renewed interest in physical copies, yet this decision seem to penalize small retailers and potentially weaken fan enthusiasm for supporting the artist this way. Had Adele and XL opted to make Amazon play by the same rules, requiring vinyl fans to buy twice if they also wanted a digital copy, I would have considered it bad form, but at least the playing field would be level. It’s important to note that LP editions of Adele’s past two records on XL includded download codes—perhaps this is a Sony decision? Maybe the major label doesn’t want to pay songwriter/publisher mechanicals on a freebie? The recorded music industry has often been accused of “double dipping” and getting us to re-purchase our music when a format shift occurs. This was brought up by some fans in the early days of Napster, as some justified their downloading by pointing out that it was music that they already purchased and loved. Streaming has to some extent made those justufucations irrelevant, while providing another source of revenue for musicians and labels—especially for back catalog. But with 25 not available on her preferred site, Molly’s only option for listening apart from her turntable is her to buy it again as a download package. If the bigger labels and artists want to restore fan loyalty and encourage fans to purchase music, this is not the way to do it. Someone who is dedicated enough to buy the most expensive format of a new release should be rewarded, not penalized. And penalizing the small retailer makes matters worse, as these outlets are the ones that tend to boost emerging artists. I’d like to think that all this would be common sense in the waning weeks of 2015. It would be nice for XL to set up a download option for anyone who can prove they have purchased the album. But at the very least, I hope they—and any other label with a vinyl strategy—think things through a bit more closely. Alex Maiolo is a recordist and musician who lives in Chapel Hill, NC. He regularly contributes to Tape Op Magazine, Premier Guitar Magazine, Reverb.com, and has advised FMC on musician health matters since 2001. Submitted by Anonymous (not verified) on December 1, 2015 - 10:40pm. I came across this page while listening to 25 on vinyl wondering where my download code is. At the local shop I bought it at I asked the clerk if it did in fact include a code, since it wasn't advertised on the cover. His response was "I'm not sure, but I would be shocked if it didn't since almost all our new albums include one." Submitted by JK (not verified) on December 2, 2015 - 7:33am. Streaming is killing music. There should be a worldwide database set up that lists all songs, everything, by anyone who releases a track and steaming services should by law be required to pay a fair rate (say per 15 to 30 second listen), directly to the songwriter (not their label, publisher, manager). If no direct action is taken, there will be no music industry.